Keep fit during your pregnancy with this challenging yet safe workout. Combining yoga and Pilates, the exercise program, led by Jennifer Gianni, carefully follows guidelines set by the American College of Obstetrics and Gynecology. Suitable for women of all fitness levels, the workout also provides modifications for each trimester. 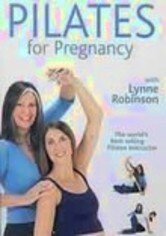 Learn how to get motivated, strengthen your pelvic floor, stay in shape and have a healthier pregnancy.